I cannot believe that tomorrow is Christmas Eve! I am so freaking excited & happy. The holidays are literally the most wonderful time of the year. I've been having so much fun baking up a storm. I have made so many different types of cookies that I am going to have to share some of the recipes after Christmas, so look forward to the yumminess continuing! Today I have a guest post from a new friend of mine, Jenny. She is so sweet & we are sorority sisters from different chapters, needless to say I was so happy when we found each other! We decided to do a virtual cookie swap (fun for blog friends!) & you can read my recipe for old fashion peanut butter cookies over on her blog, Sprinkles & Sundresses. Hi Crumbs & Curls readers! My name is Jenny and I blog at Sprinkles & Sundresses. I am so excited to be switching places with Kristin today. We are both Alpha Gams and we actually figured out (through the magic of the internet and blog-land) that I helped initiate her chapter at Villanova last year! In fact, I probably initiated Kristin herself but we didn't know each other at the time! We have tons in common and are fast friends- it really is a small world. One of the things we have in common is that we both love to bake so we decided to do a cookie recipe swap! But first, a Q & A so you can get to know me! I'm from a suburb of Philadelphia called Cheltenham. I go to Muhlenberg College in Allentown, PA. 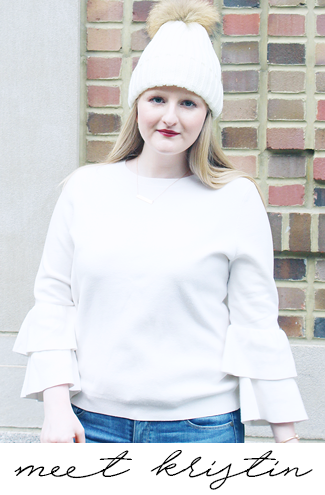 I blog all about my life as a college transfer student. That pretty much means I talk about whatever I feel like but I like to include recipes or crafts whenever I get the chance to do them! What Pinterest board do you pin to the most? Oh gosh I love Pinterest. Definitely recipes. I follow so many food bloggers that when I first log on all I see is delicious looking food. So I definitely pin to my Good Food pin board the most. Netflix. The amount of hours I spent on Netflix is probably unhealthy. Just last semester I watched Orange is the New Black, Weeds, and I'm almost done Gossip Girl. That's a lot of hours of doing nothing. Oops. If we're talking cake then vanilla. Otherwise chocolate. Give me a hershey bar any day. Beach 100%. I don't like cities for more than short visits. I am a suburb and country kind of girl. But if I could live near the beach where it is warm all the time that would be great. If this wasn't clear from the last question, sun! This past few days of surprise warm December days have been perfection. Can I have both? Especially together. Like M&Ms with popcorn. That's the best. Now let's get down to business. The recipe! 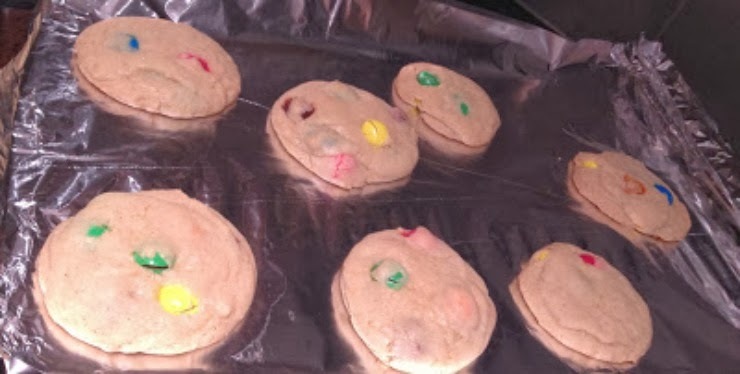 I decided to make m&m cookies. Because I love m&m cookies. And I've been meaning to try them. I got the recipe from my favorite food blog How Sweet Eats. You can find it here. My one comment would be that the recipe says it makes 18 large cookies or 36 small cookies. I cut it in half because I didn't need 3 dozen cookies but I only got a dozen out of it. Maybe my version of small is different than hers but just so you know! 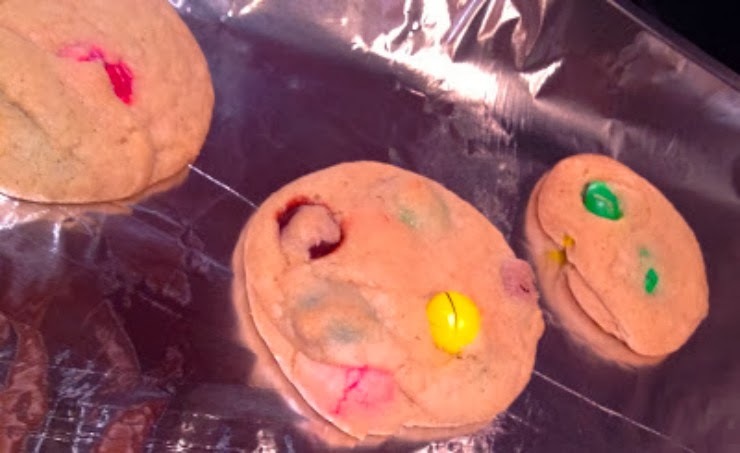 The other change I made was that instead of normal m&ms I made some with peanut butter filled m&ms (the best kind) and some with pretzel m&ms (also pretty good). I thought this was cool because it made them a little different. They were super delicious I definitely recommend the recipe! Here see more pretty pictures of them. 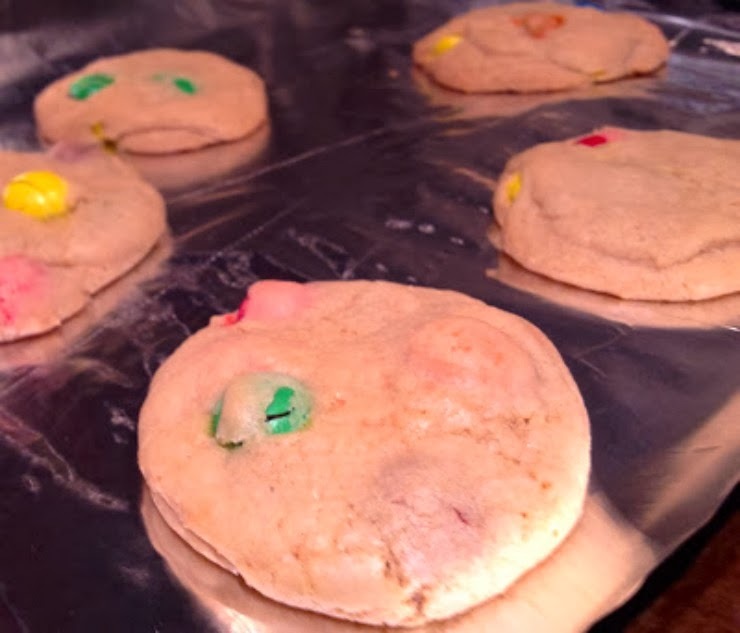 If you try these cookies let me know what different kinds of m&ms you like in them! Have a very merry Christmas and a super happy New Year! Come visit me and say hi! Those cookies look to die for! I love that she added in peanut butter and pretzel m&ms!! Smart woman!! JENNY WHY CANT I BAKE LIKE YOU. Grrrrr. It looks so good. 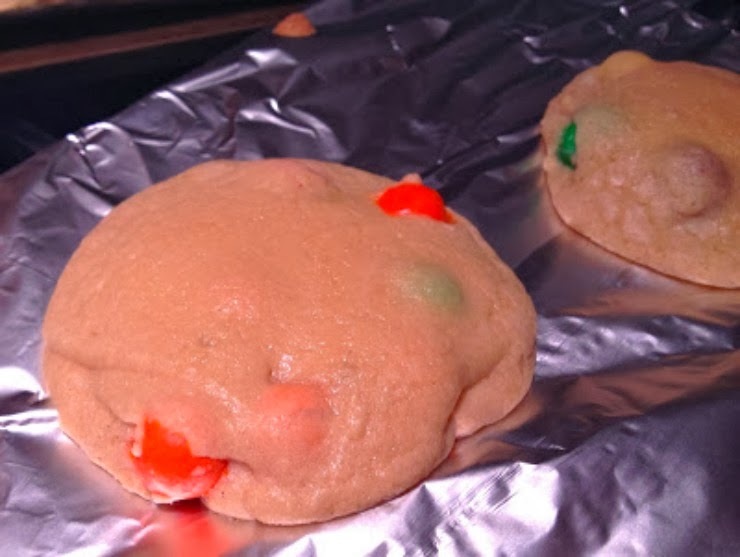 yum , you cant go wrong with anything M&M filled! xo and Merry Christmas! My kids would love these! Thanks! These look SO good!!! Love that she mixed it up with the PB and pretzel M&M's (my FAVORITE! )!